If the 2019 NCAA college basketball tournament brought you any pleasure at all, savor it. It may be the last of its kind, ever. Washington is trying to change the nature of the sport (over the objections of the folks who run it) because a few muddled-headed politicians have the idea college athletes should be paid. North Carolina Republican Mark Walker – who, irony of ironies, held a fundraiser during the Sweet Sixteen round with tickets going for $2500 each – recently introduced legislation with Louisiana Democrat Cedric Richmond that would make the National Collegiate Athletic Association surrender its federal tax-exempt status unless student-athletes were allowed henceforth to be compensated for the use of their name, image, and likeness. What Walker and Richmond want is not only inconsistent with established law, it’s the grossest kind of abuse of government power. 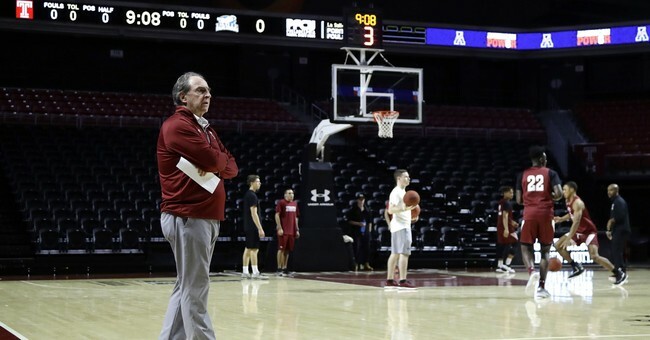 The power to tax, as Chief Justice John Marshall famously observed more than a century ago, is the power to destroy and what they are threatening to do is tax the NCAA. If they succeed, it would reduce significantly the financial support available for non-revenue sports, like women’s lacrosse or softball. That, to mix a metaphor, is strike one against the Walker-Richmond plan. The nation’s colleges and universities exist to provide students with an education that helps them reach the promise of their abilities. Sometimes that means launching them into the stratosphere of professional sports, which more than some people are comfortable with. That’s no reason, however, to throw the baby out with the bathwater and commercialize the whole business. Consider for a moment the extraordinary lengths to which the NCAA has gone to keep collegiate sports – not just basketball but all those under its purview – clean of corruption. It’s not an easy task and, despite the rigid rules it has in place, one that’s not always successful. Imagine asking young men who under law are not old enough to consume alcohol responsibly or purchase firearms to negotiate multi-thousand- or million-dollar deals with shoe companies, manufacturers of athletic apparel, or any one of dozens of products to which younger buyers might be attracted. The big bucks involved will, strike two, attract thieves, con men, and other charlatans to college sports like moths to a flame. Strike Three - and three strikes mean “You’re out” – the Walker-Richmond legislation plays into the hands of rapacious trial lawyers-who want to professionalize big-money college athletics and then turn student-athletes into unionized employees. Walker’s congressional spokesman admitted as much to Bloomberg in a recent interview. Strikes, litigation, and other, season-ending nonsense would be sure to follow. Student-athletes in Division I with 4-year scholarships already receive a huge economic and educational benefit -- valued around $200,000 – the proposed legislation overlooks. Additionally, Division I student-athletes can also receive additional scholarships – valued at thousands of dollars - that help pay for the full costs of attending college. These scholarships – and the educational opportunity they bring – are life-changing for many young students who, without them, might not have had the opportunity to go on to college from high school. The issue of who controls the name, image, and likeness of players as players is already in court. The Walker-Richmond bill, if it becomes law, short-circuits the ability of both sides to have their say. In March the U.S. District Court in Northern California reaffirmed the value of the college system of athletics and the NCAA’s approach of tethering benefits to education. U.S. District Judge Claudia Wilken ruled and reaffirmed that student-athletes are indeed students receiving a college education who cannot be compensated in unlimited cash sums unrelated to education. The focus Walker and Richmond have put on compensation distracts from college athletics as an addendum to the pursuit and achievement of higher education rather than an end in itself. The unintended consequence of the outcome they’re seeking would be student-athletes are moving from school to school in search of the best-earning possibilities instead of the best personal and academic fit. Before moving the bill forward others in Congress really need to stop and consider whether this is really in the best interest of student-athletes, not just in basketball, but in all sports, because it certainly doesn’t look like it.